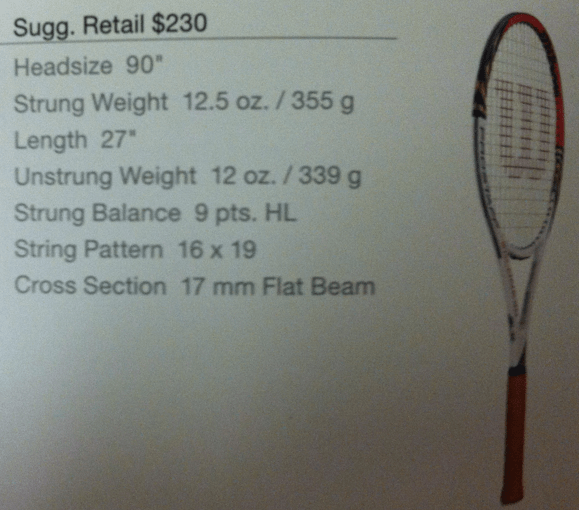 With assistance from close sources, FedererFan07 is bringing you an exclusive sneak peak at Roger Federer’s new racquet for 2012. It is official. 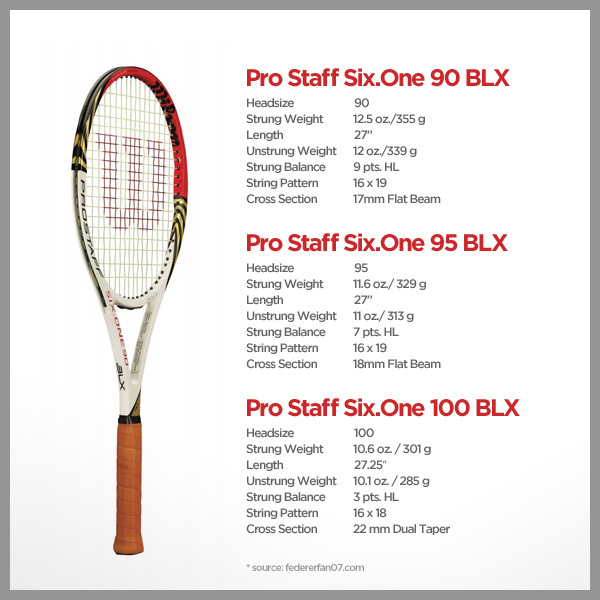 The name of the racquet from Wilson is the Pro Staff Six.One BLX. Meet a legacy of Grand Slam Championships. The Pro Staff Family has been cherished by the game’s greatest icons, including Federer, Sampras, Edberg, and Courier. The legendary braided graphite construction provides the perfect blend of control and feel. Roger’s personal choice and Wilson legendary Pro Staff updated with new Amplifeel (TM) handle system providing an even cleaner feel. Providing maximum control, classic stability, and traditional feel. PeterFig of the Tennis Warehouse forums put together a nice summary of the upcoming Pro Staff BLX line. 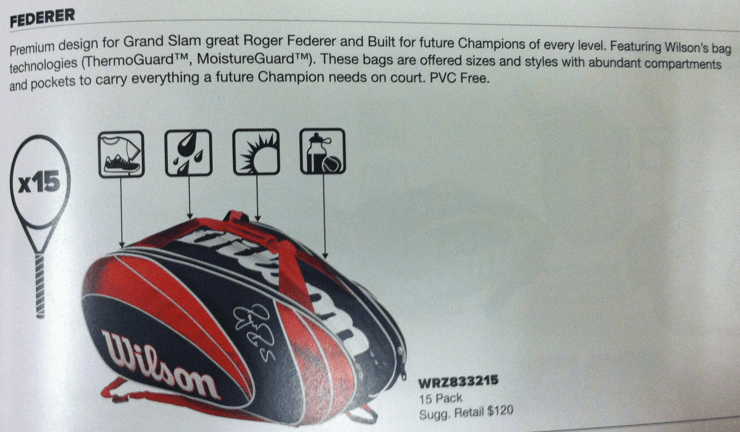 Roger will also sport a new bag next year. Premium design for Grand Slam great Roger Federer and Built for future Champions of every level. Featuring Wilson’s bag technologies (ThermoGuard (TM), MoistureGuard (TM)). These bags are offered sizes and styles with abundant compartments and pockets to carry everything a future Champion needs on court. PVC free.